While just a few short years ago, Rare Earth Element coverage dominated non-fuel mineral resource news cycles, it is the metals and minerals that fuel electric vehicle and battery technology that are making headlines these days. Here, the spotlight has been on Cobalt, Lithium, and, to a lesser extent, Nickel and associated supply and demand scenarios, but Copper — both a traditional mainstay metal and tech metal in its own right that also serves as a “Gateway Metal” to several other tech metals — also warrants attention. Perhaps less flashy than its peers, Copper is widely used in electric vehicles, charging stations, and supporting infrastructure. Moody’s, which also expects Nickel and Cobalt supply insufficiencies against the backdrop of growing demand for EV battery technology, anticipates Copper consumption to greatly outstrip supply as it is slated to increase more than six times. 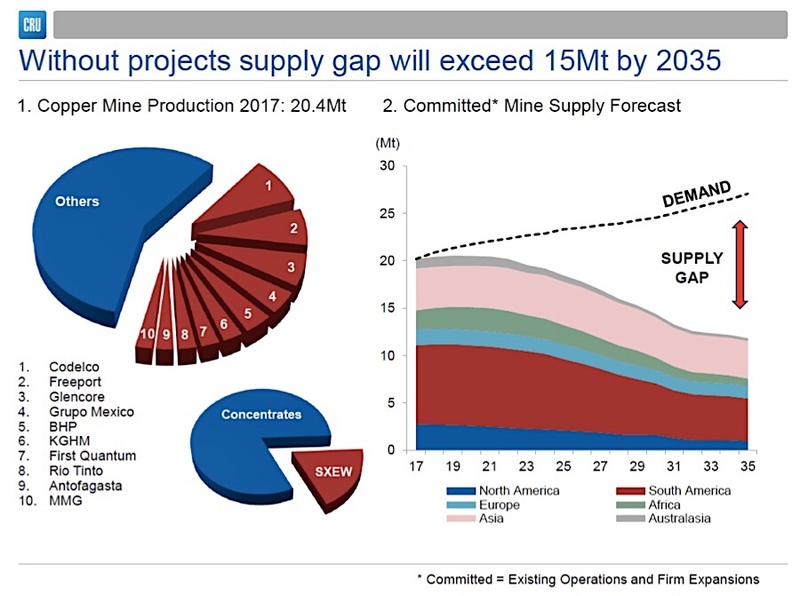 Only if “every single copper project currently in development or being studied for feasibility is brought online before then, including most discoveries that have not yet reached the evaluation stage, the market could meet projected demand,” said Sampson according to Mining.com. Copper is “far more than just your old school industrial metal” — which is why including it into the draft critical minerals list released by Secretary of the Interior Ryan Zinke would be a common sense proposition.